Hello crafters and Happy New Year! Since Christmas began I have been crafting like a fiend, no doubt to make up for all that lost time while I was settling in to my new job and my new life in Luxembourg. 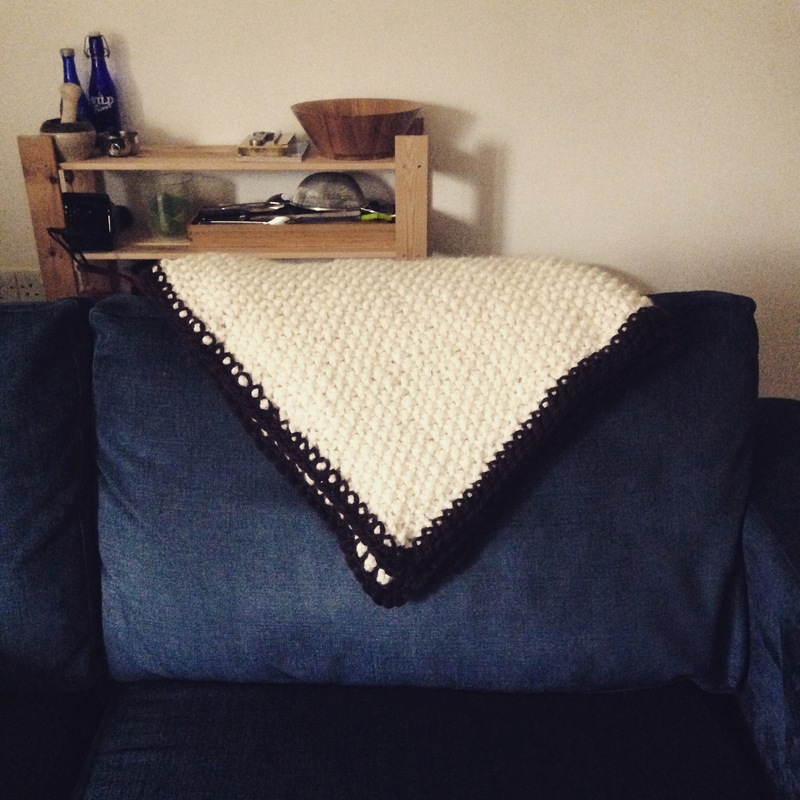 For my friend’s birthday I knit my first ever blanket and I have to confess I was pretty proud of the results, what do you think? 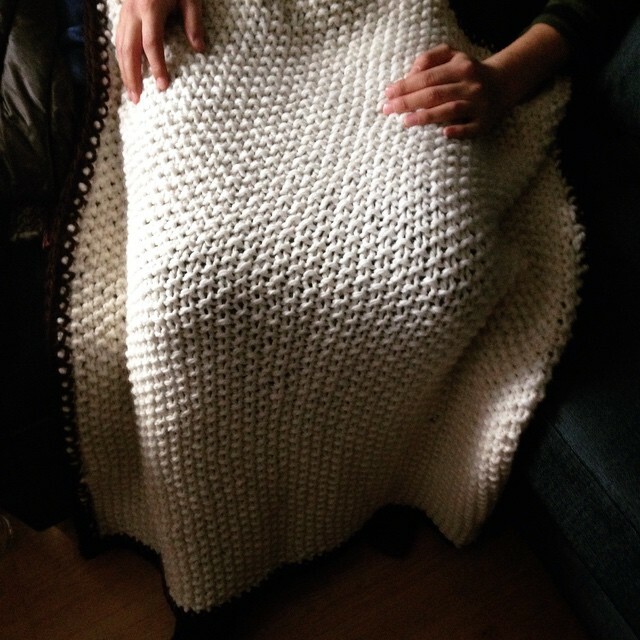 I took inspiration from the Purl Bee’s Eleventh Hour Blanket but as I’d left it too late to order the wool from their site I struck out on my own with what I could find in my local craft shop – Debbie Bliss Roma. I’m not the most amazing knitter so I kept the pattern really simple. You can easily customise it to make it as long and as wide as you want, just cast on more stitches at the beginning (keeping it an odd number though) and add more balls of wool accordingly. As it’s seed stitch, if you cast on an odd number of stitches it’s *k1, p1, repeat from * then for the last stitch it should be k1. Then do the same for the next row, and the next etc until it’s as long as you want it to be (I used up 5 balls of yarn). I did two rows of the crochet border but you can add as many as you like – you might need some more wool though! Now I’ve got a taste for the knitted blankets I might move on to to bigger and bolder things, any ideas?! PS. I just got into the Purl Bee newsletter. Love their patterns. Have you ever bought from them? 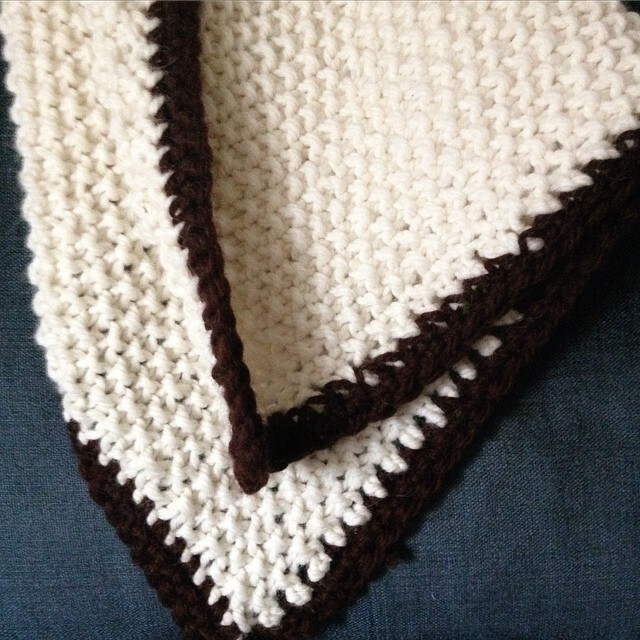 This entry was posted on 06/01/2015 by hedanni (Danni Haughan) in Crochet, Crochet pattern, Knitting, knitting patterns, Wool, Yarn and tagged Craft, Craft Blog, Crafting, crafts, Crochet, Easy, easy knitting projects, Handmade, Knitting, wool, Yarn.